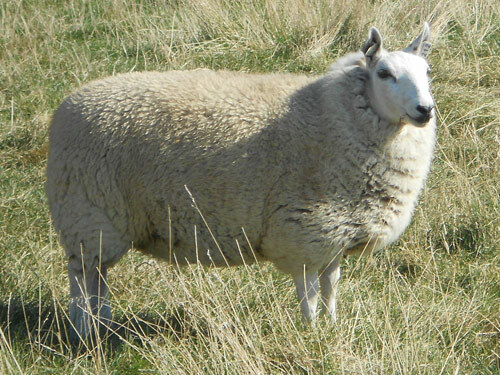 Miniature Cheviots are usually white, with small heads and erect little pointed ears. Their fleeces provide medium wool with a distinctive helical crimp and a long staple, perfect for handspinning. Maximum height at two years of age is 23 inches at the top of the shoulder when sheared. Mature ewes weigh 45 lbs to 85 lbs; mature rams 55 lbs to 100 lbs.